The Expectation Maximization (EM) motif-finding algorithm is one of the most popular de novo motif discovery methods. However, the EM algorithm largely depends on its initialization and can be easily trapped in local optima. This paper implements a Monte Carlo version of the EM algorithm that performs multiple sequence local alignment to overcome the drawbacks inherent in conventional EM motif-finding algorithms. The newly implemented algorithm is named as Monte Carlo EM Motif Discovery Algorithm (MCEMDA). MCEMDA starts from an initial model, and then it iteratively performs Monte Carlo simulation and parameter update steps until convergence. 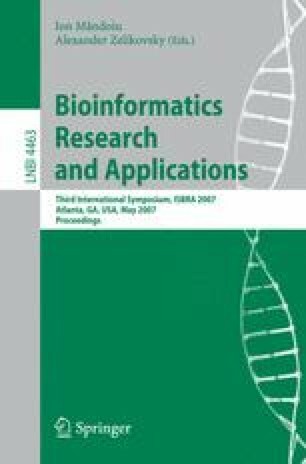 MCEMDA is compared with other popular motif-finding algorithms using simulated, prokaryotic and eukaryotic motif sequences. Results show that MCEMDA outperforms other algorithms. MCEMDA successfully discovers a helix-turn-helix motif in protein sequences as well. It provides a general framework for motif-finding algorithm development. A website of this program will be available at http://motif.cmh.edu .